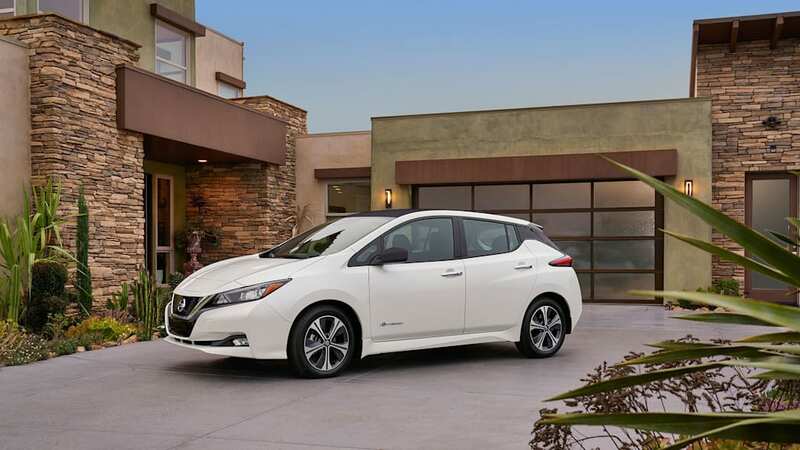 Sleeker look, more power, greater range highlight the popular EV. 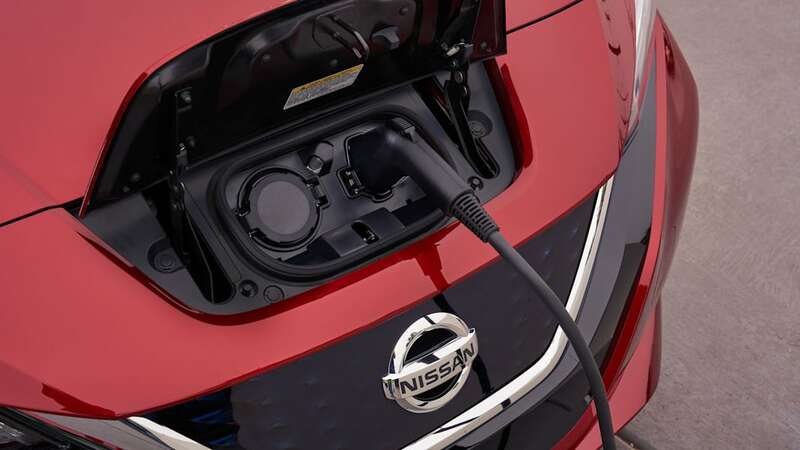 KAMINOKAWA, Japan — After an agonizing trickle of details and teasers, Nissan has finally pulled the wraps off the next generation of the world's best-selling EV nameplate, the Leaf. But a lot has changed since the original launched in 2010. 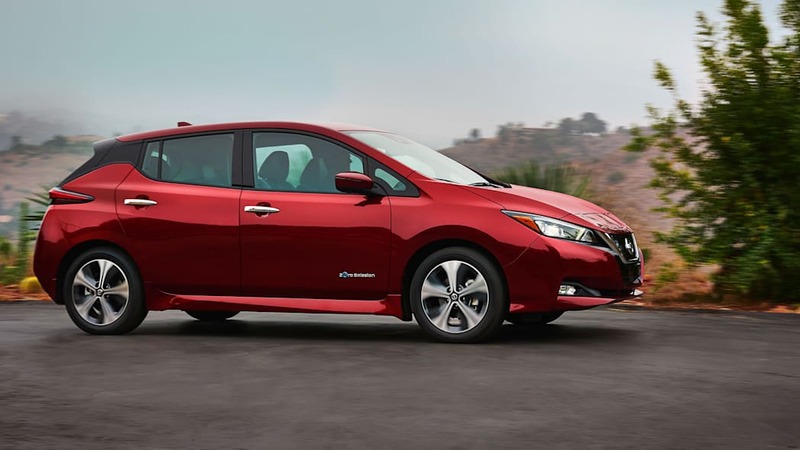 With the impressive range figures of the Tesla Model 3 and Chevy Bolt, the 2018 Nissan Leaf has got to be good. 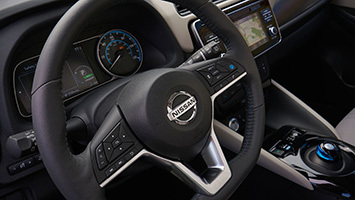 As we drove it at Nissan's Tochigi proving grounds, zipping quietly through corners while nestled in the attractive, tech-laden interior, we realized we were piloting a successful evolution — and a milestone defining the second generation of the modern electric car. The new Leaf is far better looking than the car it replaces. It's sleeker, with a more planted stance, futuristic but more mainstream. Its floating roof projects lightness, and its swept-back shape gives it a sense of motion. 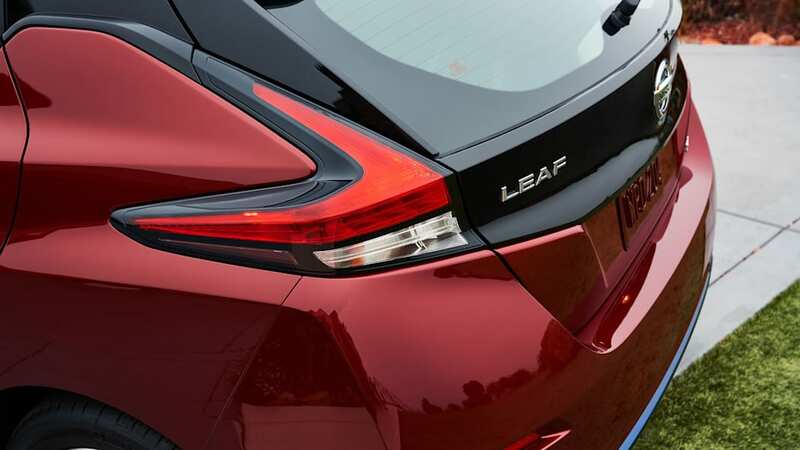 The new Leaf is about 0.4 inch lower in overall height, 0.8 inch wider and 1.2 inches longer, but it appears even lower, wider and longer than that. Ground clearance is unchanged. 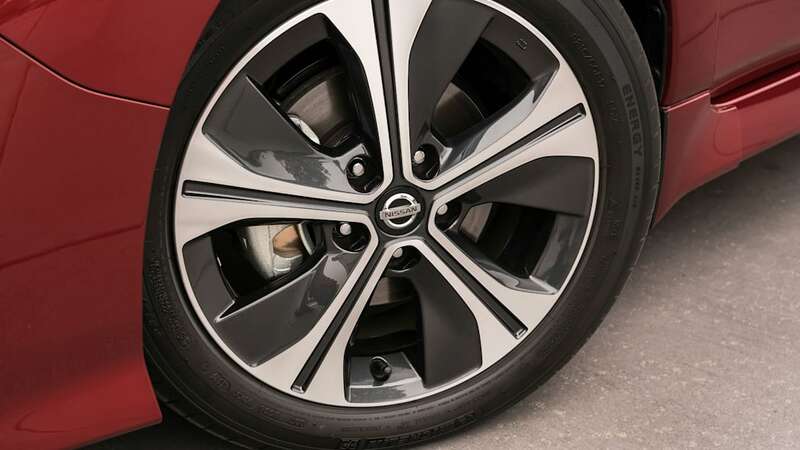 Nissan's designers told us they would have liked to have lowered the car and put bigger wheels on it, but they made all the spatial changes they could without making it too heavy or costly. 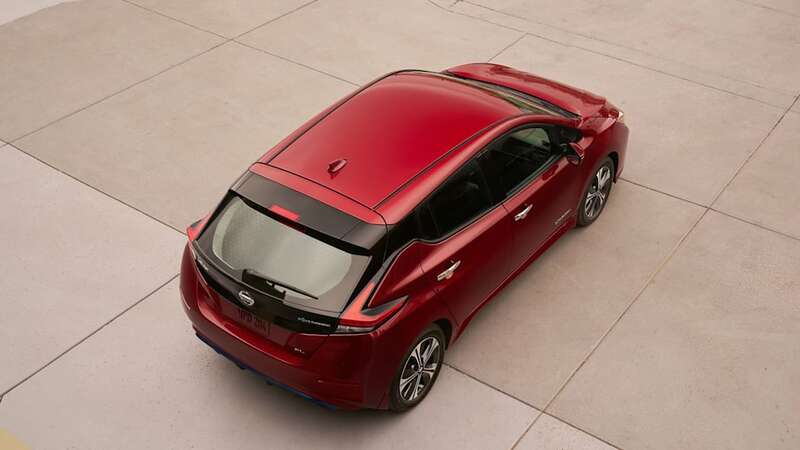 Essentially, the new Nissan Leaf looks more like a car we'd aspire to get our hands on, electric powertrain or not. 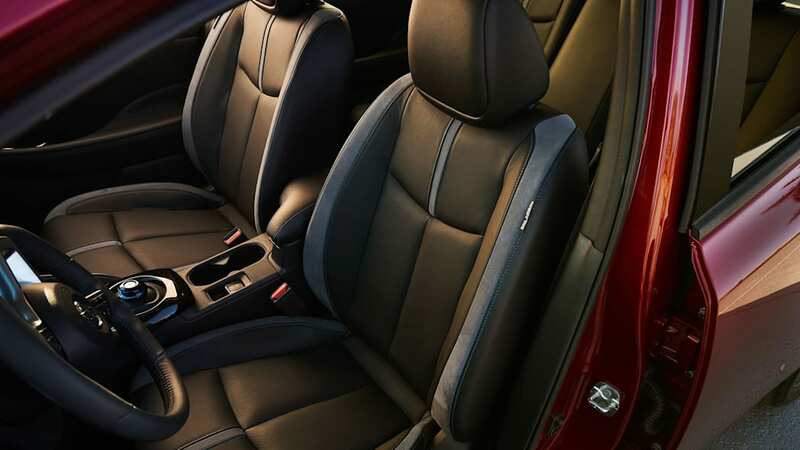 We found the interior to be quite comfortable and more premium than we expected. The cars we sampled had high-quality materials such as perforated leather seats with microfiber inserts and blue accent stitching. The sense of width played nicely in the cabin, and the front seats felt spacious for such a small vehicle. 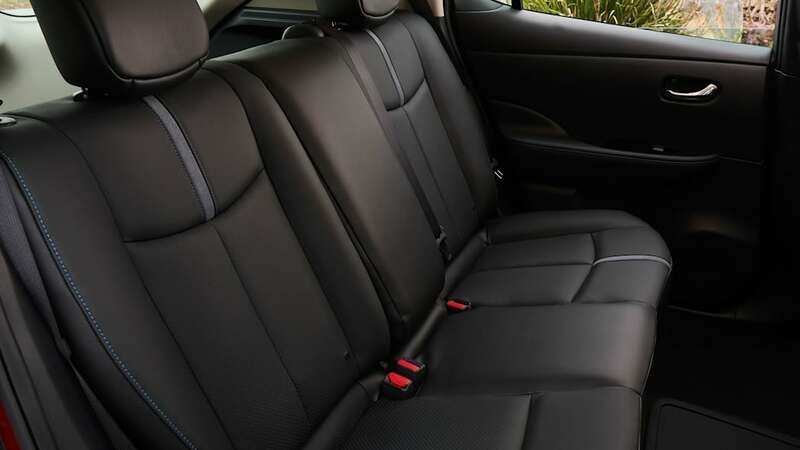 Even the rear seats were comfortable, with a good amount of legroom for a 6-foot-tall passenger behind a similarly sized driver. The floor felt high, though, in the back seat, and the ceiling was slung low overhead. Still, we wouldn't feel guilty putting two adults or three children back there for a couple of hours. Walking around the car, we saw that the charging port was still located in the nose of the vehicle. It would have cost too much to move it to the side, designers told us, but they did what they could to make it more user-friendly. 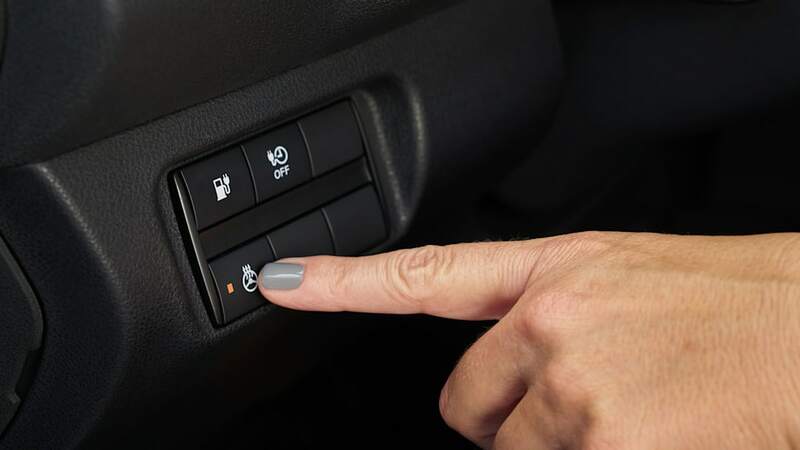 The port was under a flap on the hood, allowing one to plug in from above, rather than crouching to plug into the front of the grille — a small ergonomic improvement owners will appreciate, especially if they're moving up from an old Leaf. Those designers were coy about any other Leaf variants, but suggested that a potential Nismo version "may or may not" have bigger wheels. There were hints that other "things" are "coming" as well, whatever that means. Speculate away. 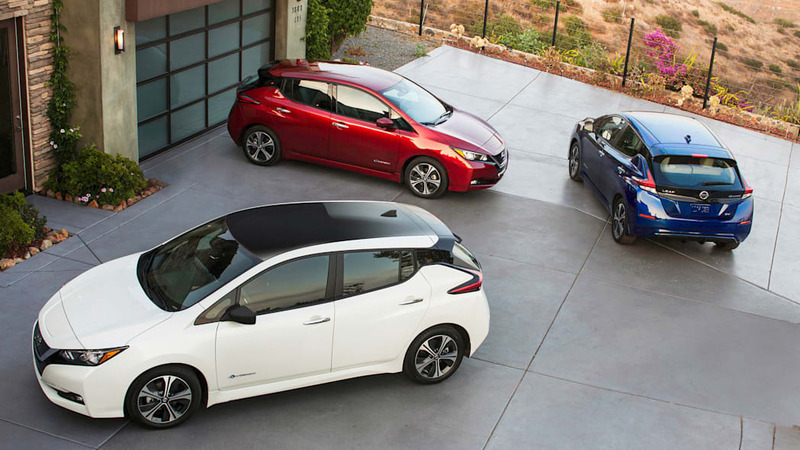 To start, the new Leaf will be available with a 40-kWh battery offering 150 miles of range on the U.S. cycle. 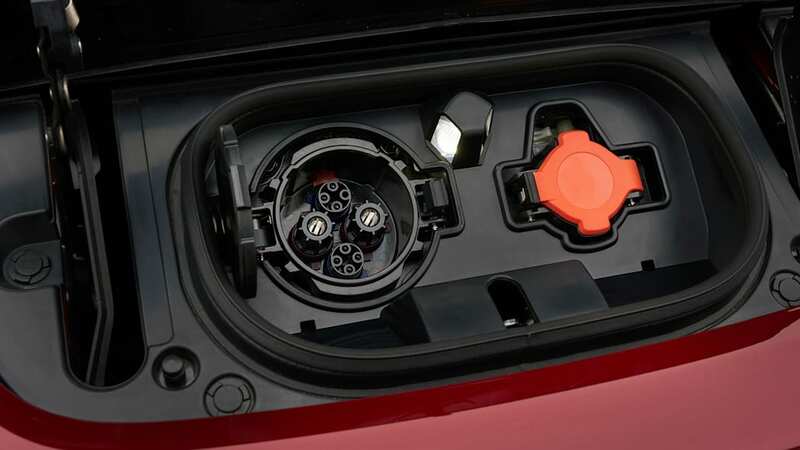 Later, a second variant with a 60-kWh battery pack, called "e-Plus," will offer an expected 225 miles of range. 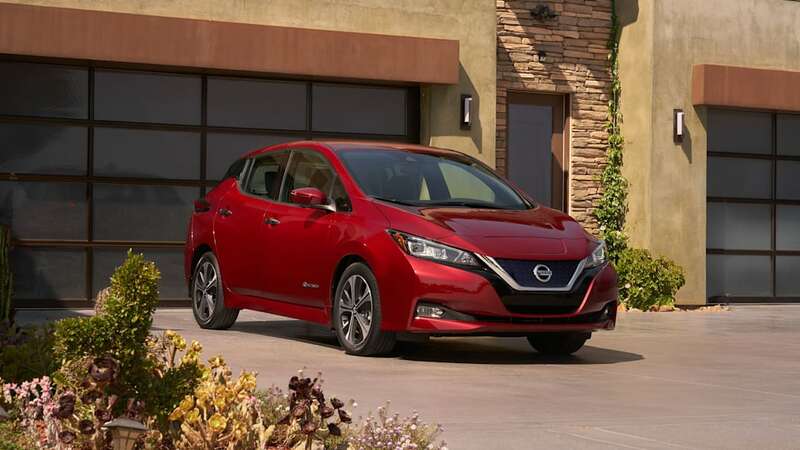 The new Leaf uses the same electric motor as before, but Nissan improved the electric powertrain to make more power available. 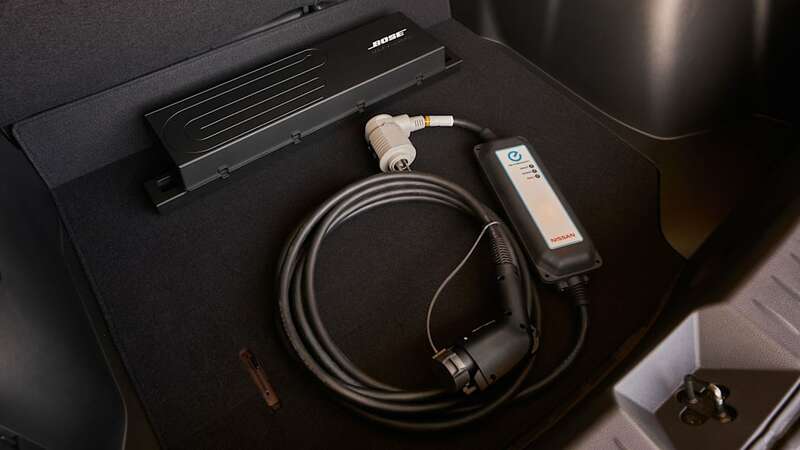 Thanks to an upgraded inverter, the motor is capable of 110 kW of output (or 147 horsepower for those who prefer to measure output in animals). Yeah, having more power will use more energy, but the boost in battery capacity more than makes up for that in range. 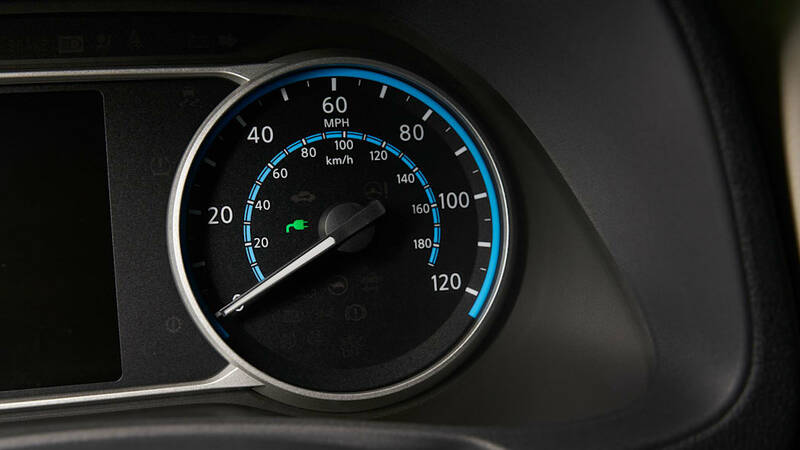 If a driver is concerned about it, they can use the Leaf's "Eco" mode, which decreases the car's acceleration and top speed, making it more efficient to drive. 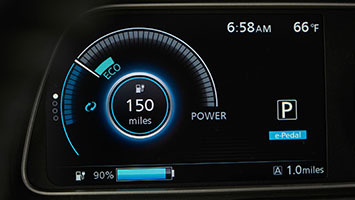 EVs are naturally quieter than their internal-combustion counterparts. 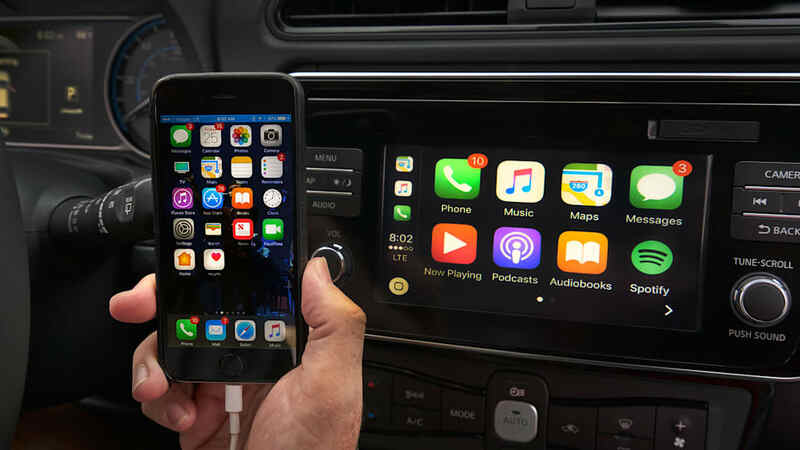 That doesn't mean customers won't find some noise to complain about in their electric car. For Leaf drivers, when there's no rumble of the engine to mask it, wind noise has been the thing they've noticed. In general, mirrors are especially noisy, as the airflow is getting disturbed right in front of the driver's head. 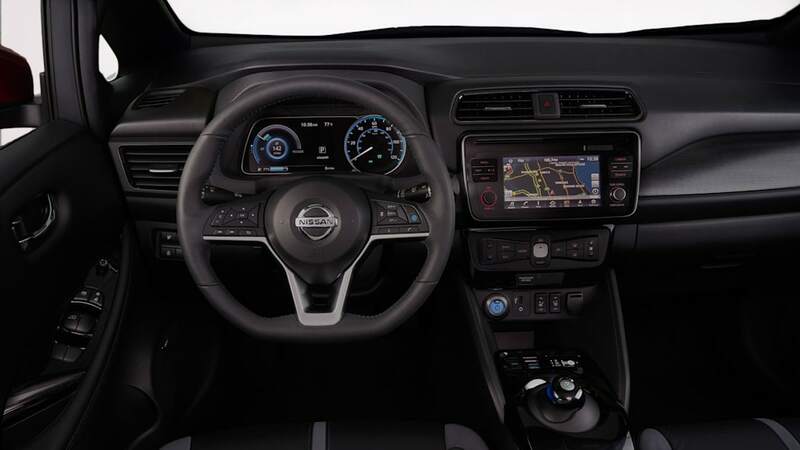 Nissan added more sound deadening to the 2018 model to make it even quieter, including an acoustic glass windshield. 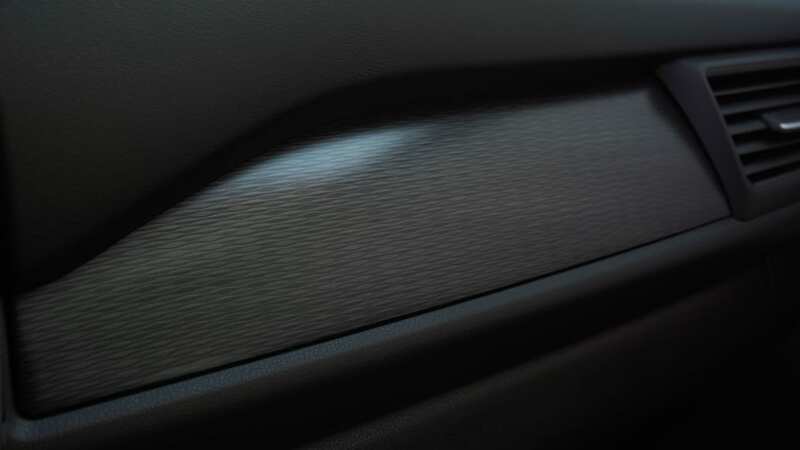 The company also tuned the aerodynamic design in the wind tunnel. We were able to visit the wind tunnel and watch how the front of the Leaf diverts as much air as it can away from the mirrors to minimize noise. 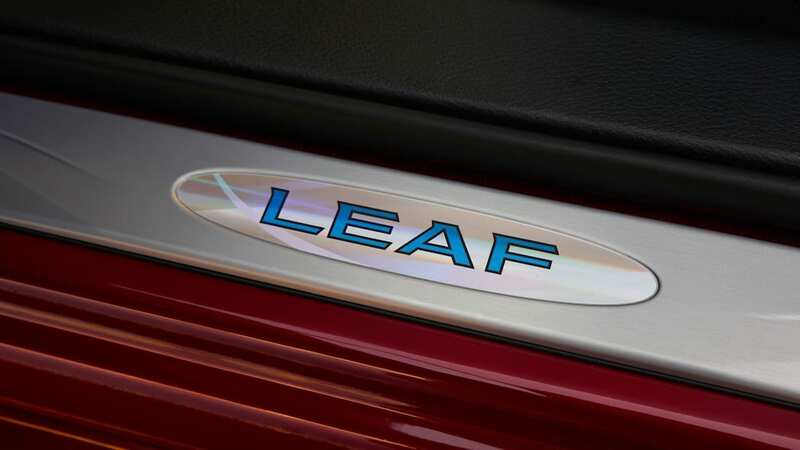 The new Leaf has about the same drag coefficient as the outgoing model, but it's quieter. During our test-drive, we were able to pick up a small amount of wind noise, but we did find the car to be exceptionally serene overall. 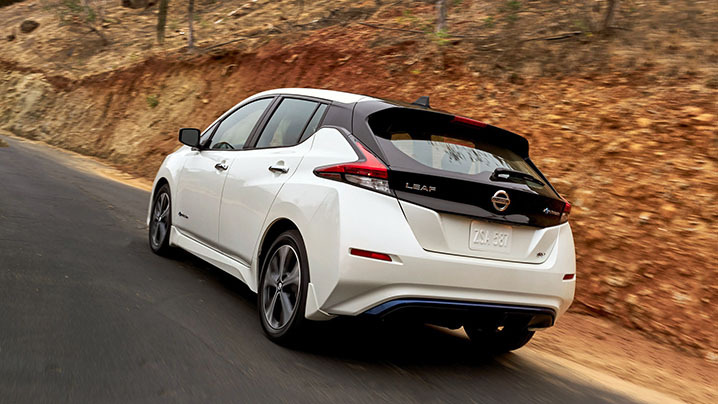 Our actual drive time in the new Nissan Leaf for this first sampling took place entirely within the automaker's Tochigi proving grounds, in a preproduction vehicle built to Japanese specifications. 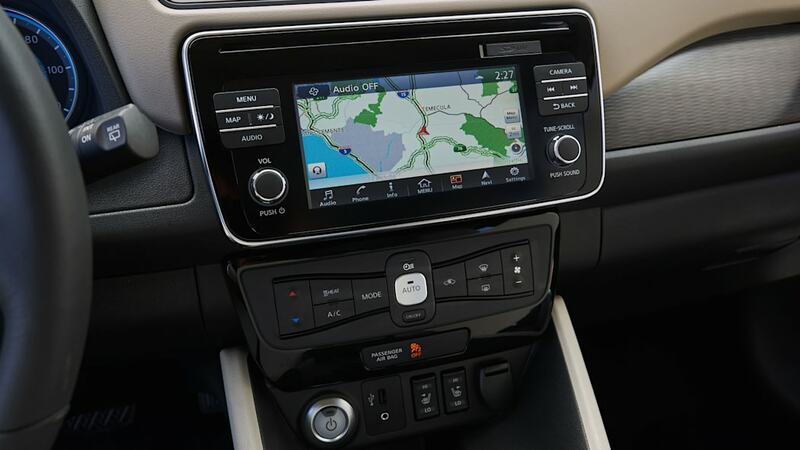 It began with demonstrations of the ProPilot Park and ProPilot Assist systems, an experience deserving of its own, separate review, which you can read here. 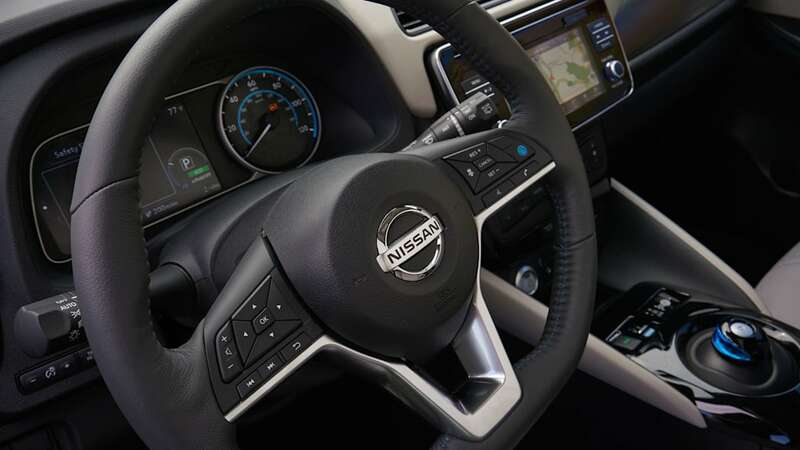 According to Nissan, the cars bound for Japan have lighter steering and softer suspension tuning than the vehicles that will be sold in North America. We've got another drive of the U.S. spec car coming soon, so stay tuned for more on that. Nissan's Tochigi proving grounds are sprawling and include miles of different roads meant to simulate a wide variety of driving locales and situations one might find themselves in. Many are exaggerated examples of the pocked or undulating roads you'd find in rural Japan or New York City. Nissan engineers talked about how the car was meant to soak up a lot of the irregularities on the road. What they were describing (through translators) was a bit different from what we were actually surmising about the car. Instead of a soft ride, we found the suspension felt sporty and engaging.  Instead of isolation, we found composed engagement, at least through the chassis. 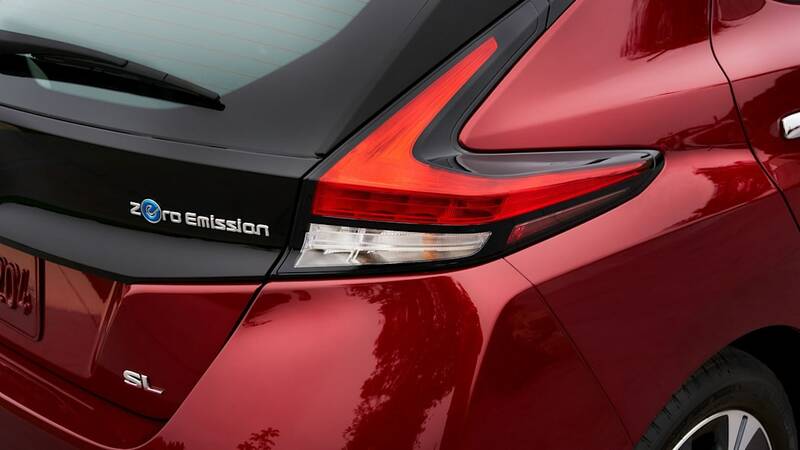 If the Japanese suspension tuning is supposed to be soft, we're optimistic about the dynamics of the North American Leaf. Again, we'll report back on that soon. New to the Nissan Leaf for this generation is e-Pedal technology. 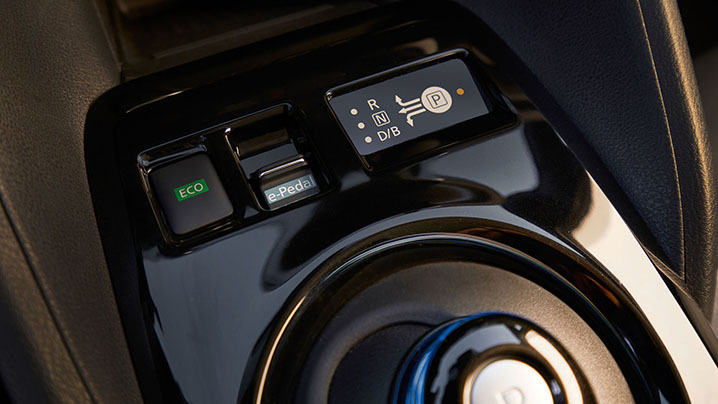 At its essence, e-Pedal allows you to drive the Leaf using only the accelerator. The great thing about e-Pedal, though, is that you can turn it on or off with the flip of a switch. 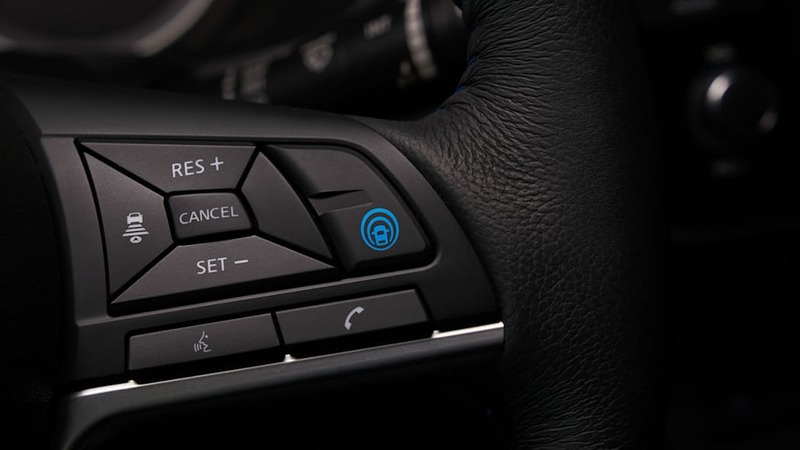 Just toggle the selector on the center console — the one that looks like an electronic parking brake — and you're all set for one-pedal driving. Press the accelerator to go, ease off to slow down and lift off completely to come to a stop. 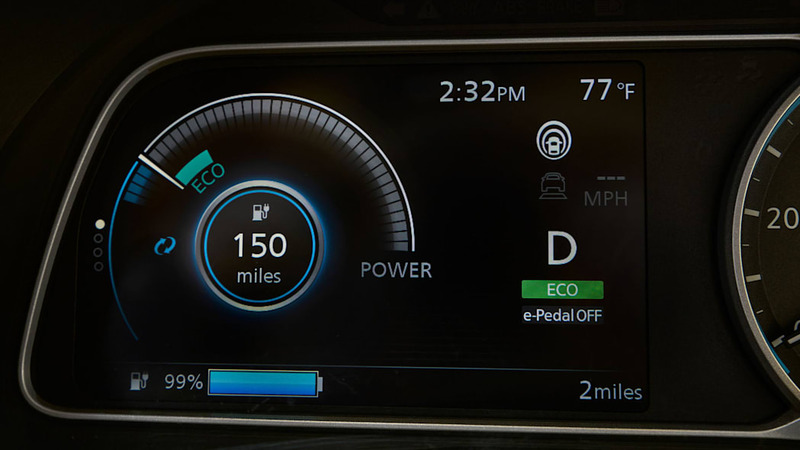 It begins to feel natural quickly, especially if you've experienced one-pedal driving or even a braking mode in other electrified cars. At Nissan's Tochigi proving grounds, we were able to test out e-Pedal on a hill. It was a steep incline, similar to some of the more dramatic crests in San Francisco, where you see only sky over your hood as you approach the intersection. Heading up the hill, we lifted off the accelerator and came to a complete stop. Without putting our foot on the brake, the Leaf held still until we got on the pedal to move again. Coming downhill on the same steep grade, lifting off the pedal didn't bring us to a complete stop, but it slowed us to a manageable crawl. 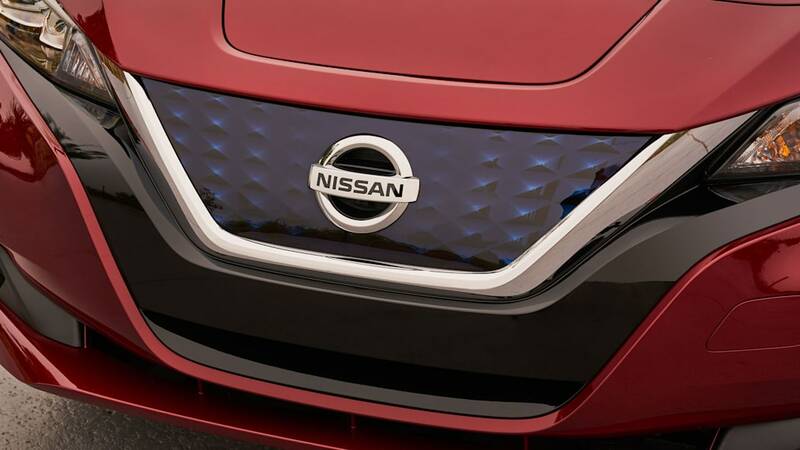 Nissan claims you can use e-Pedal in 90 percent of your driving situations. A super steep downhill section such as this would fall under the 10 percent of situations where you'd still need to use the brake. E-Pedal is either on or off, with nothing in between. Some other automakers allow you to choose from various levels of regenerative braking, the strongest of which allows for one-pedal driving. If other drivers are like us, they ignore all the levels between full regen and no regen feel. 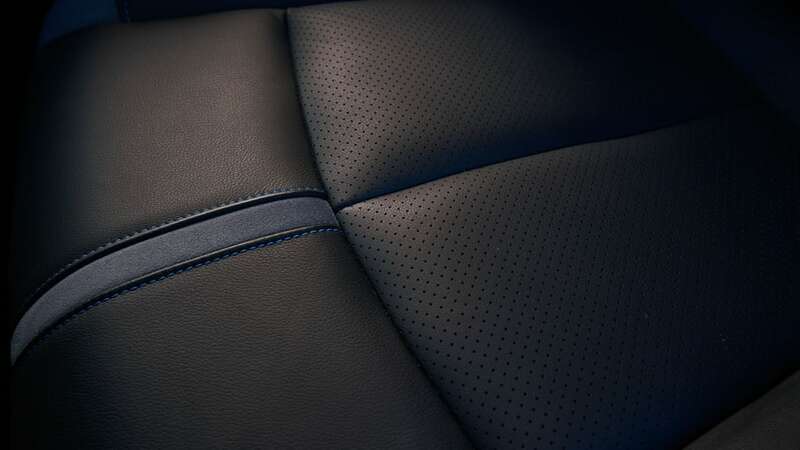 Nissan simplifies this with its all-or-nothing approach. We're happy to have the one choice, though. 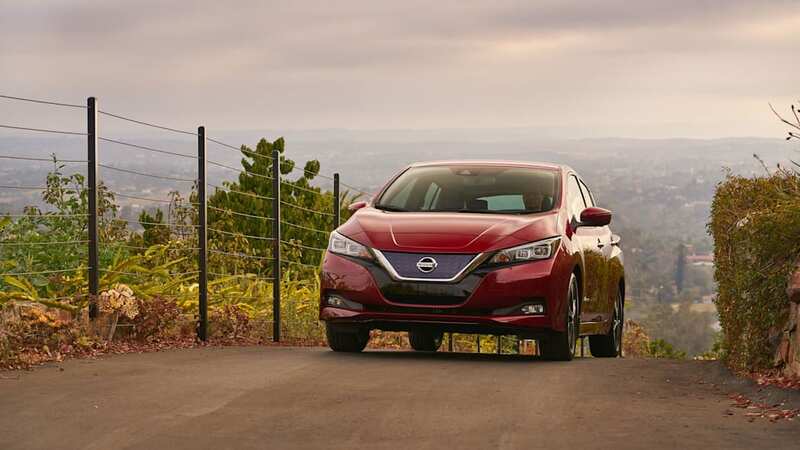 There are times where you just want to be able to completely lift off the accelerator to coast on the highway, and surely there will be some Leaf customers who prefer the traditional feel of two-pedal driving. 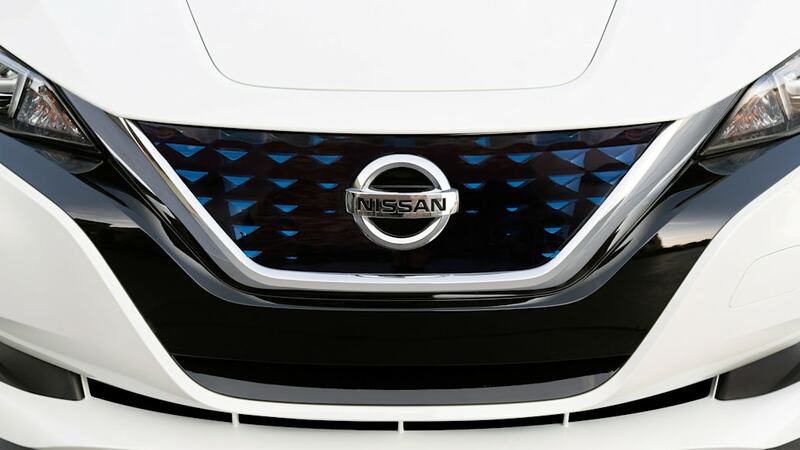 This is smart packaging by Nissan, and it reflects the automaker's experience catering to EV customers ranging from early adopters to neophytes. 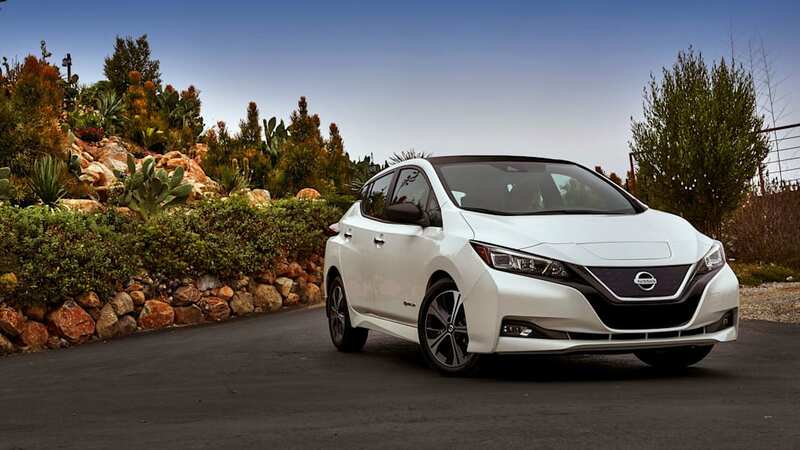 Nissan will build its new Leaf in a number of plants, depending on the market. 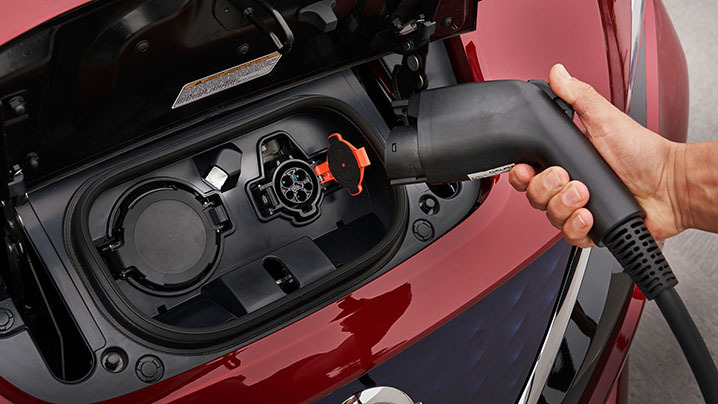 Here in the U.S., our Leaf EVs will be built in Smyrna, Tenn., on the same production lines on which the old Leaf was built. 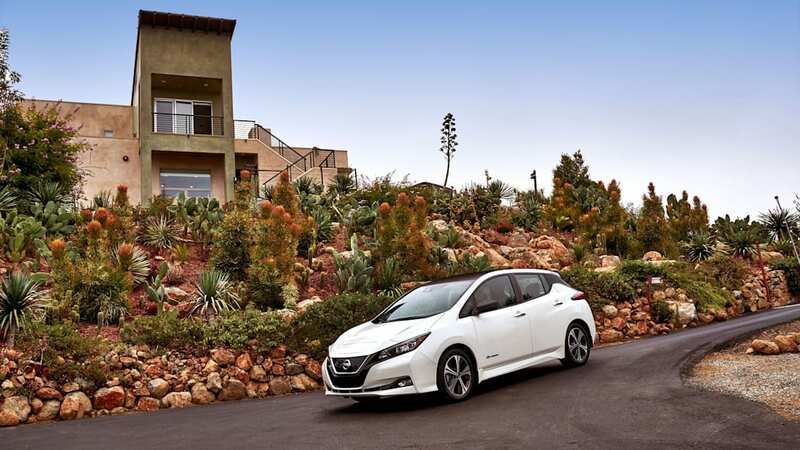 Nissan hopes to grow its customer base for the Leaf a bit, but understands that EVs still garner a limited audience. 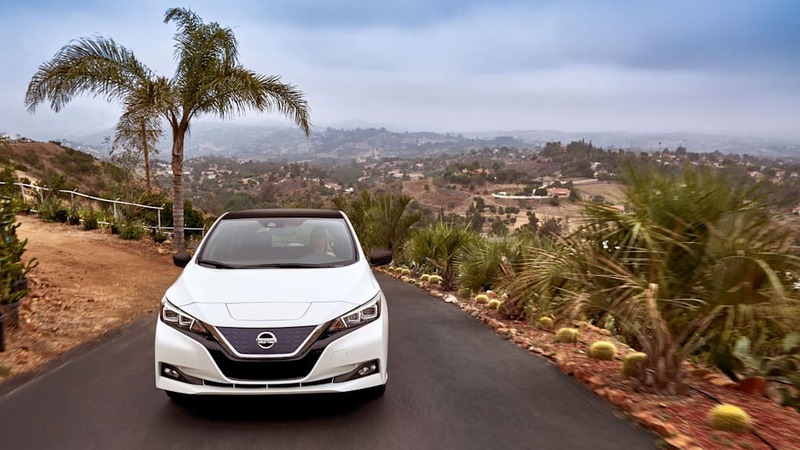 Still, with the e-Plus version offering a longer driving range, Nissan expects the share of customers who buy instead of lease to grow (currently, about 55 percent of Leaf customers lease their cars). Once customers have their cars, Nissan will be able to push upgrades to new Leafs as they are developed. 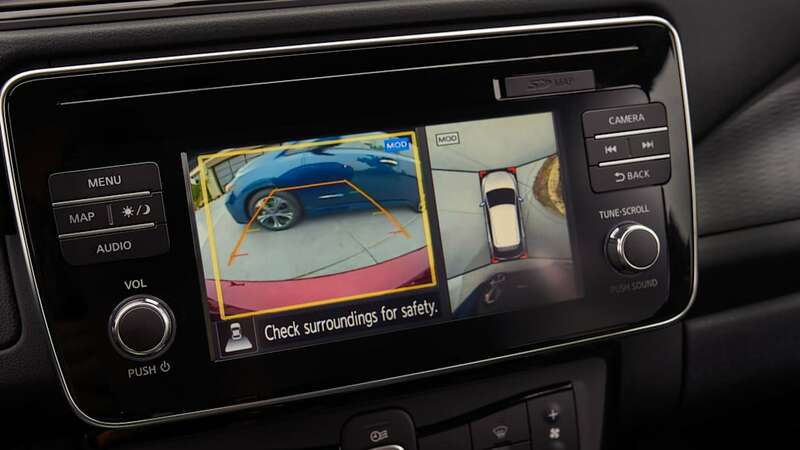 If Nissan creates some electronic fix for a problem or wants to offer new software features, customers will be able to get these upgrades at their dealership. 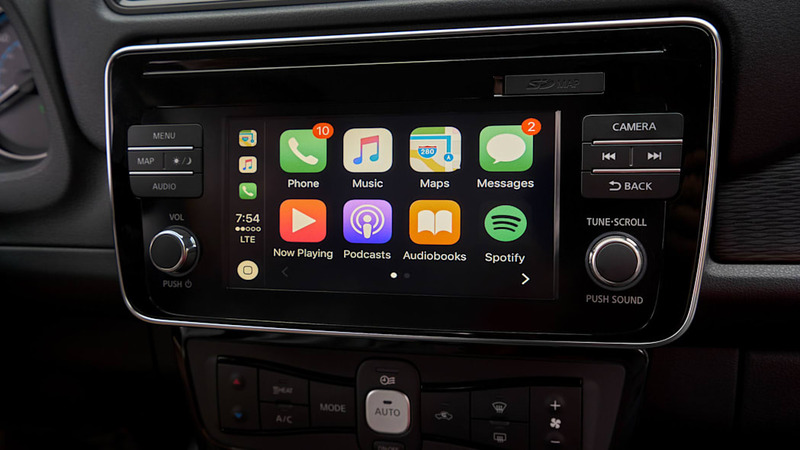 The company won't be offering over-the-air updates. 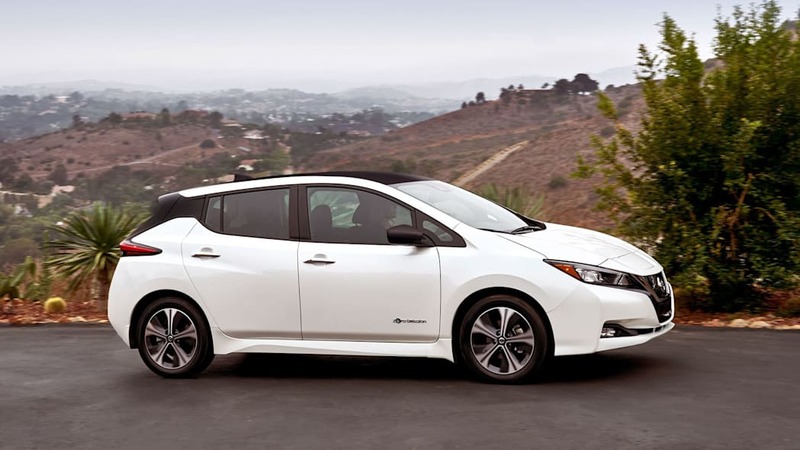 It's hard to find effective criticism against the new Nissan Leaf. Sure, Nissan doesn't promise full autonomy like Tesla, but Tesla charges money for a feature that might not be legally allowed for many years. 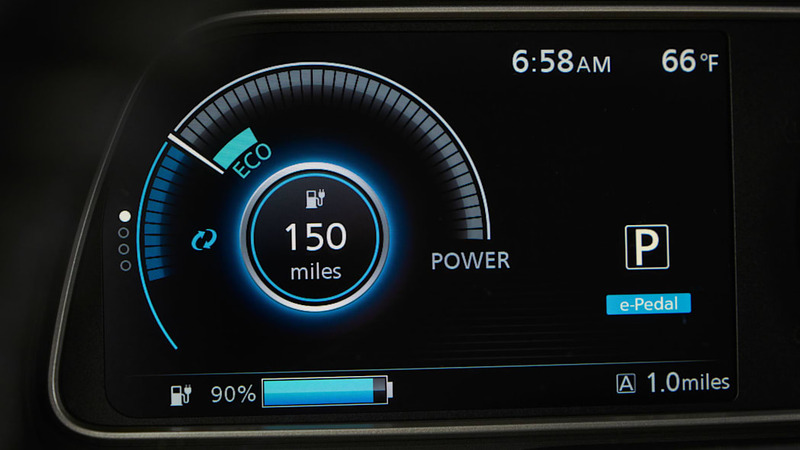 The Leaf doesn't offer the range of the Chevy Bolt, but also doesn't cost as much, and seasoned EV drivers know that the added driving range does more for pacifying range anxiety than actually providing day-to-day utility. 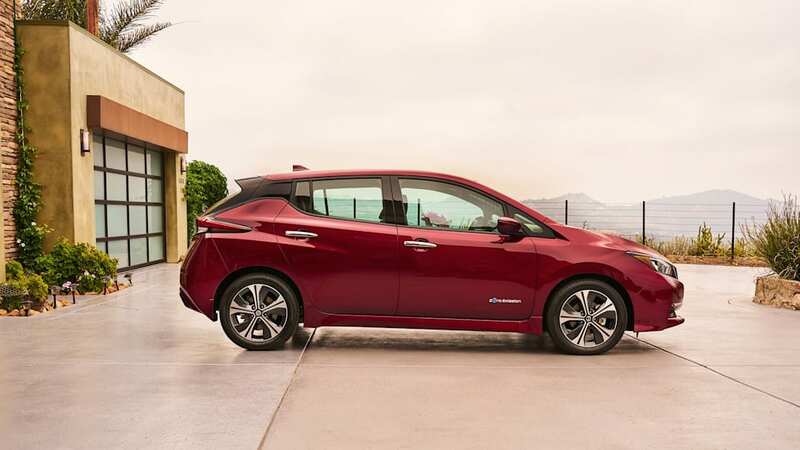 If you haven't driven an EV before, one could forgive you for thinking the Leaf an oddity, especially visually, but this generation changes all of that the first time one sees it in the flesh. 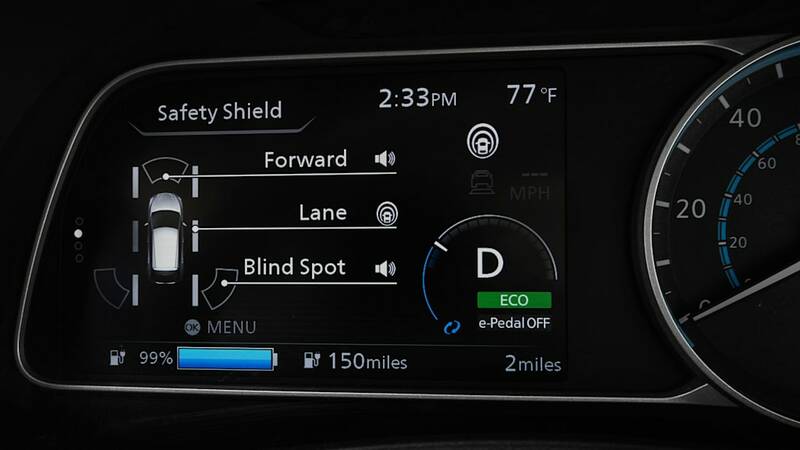 For a large number of drivers — especially for EV veterans — the 2018 Nissan Leaf checks all the important boxes and ignores the unnecessary (and expensive) ones. Considering the success of its imperfect predecessor, and the improvements made in the new Leaf, this one is poised for success.